Your new movie Forgotten Tales - in a few words, what is it about? It's a throwback to Creepshow, it's three shorts but the stories intertwine. One is a ghost story, one is a babysitter story and the last one is about an aspiring actress who is the obsession of a director. What were your sources of inspiration when writing Forgotten Tales? 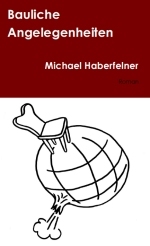 I wrote the stories years ago but didn't bring the script back out until 2013 to take a look at. I've always wanted to do a anthology film so it was really fun and I cannot wait to do a sequel. Every thing around me inspires me. For the audition segment, I actually took that from a weird experience I had auditioning for a wannabe director. The babysitter segment is because I love those babysitter urban legend stories and the ghost story was written from having a dream one night about a ghost in a cabin. When it comes to the horror genre, Forgotten Tales is literally all over the place - so what led to this eclectic approach, and what are your favourite subgenres, personally? You name the subgenre and I guarantee I'm into it, LOL. I wanted each segment to be as different from the last as possible, I like to experiment and also play around with the stories that I write. I think the overall outcome of the film came out great! Do talk about your movie's approach to horror as such for a bit! Well I've always loved anthology films and wanted to do one on of my own, my whole goal was to try to bring back a Tales from the Crypt or Creepshow type of vibe. I love those and wanted to create my own that I can brand and bring to life. My approach was to connect with those who grew up watching Creepshow, or Tales from the Darkside and give them something new. 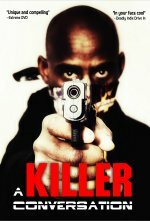 I have had good feedback so far so I will take that and get ready for a sequel. It is revealed only in the last segment of your movie that all three stories are connected - was this the idea from the get-go or did that just develop over time? And what was the idea behind this to begin with? When I first wrote the stories there was no connection, through time of filming I started to change some things in the script and developed the whole connection while filming. I thought it would be cool to have these lives intertwine somehow and I like to believe it worked out great. You also have to talk about all those comicbook drawings that pop up in the film time and again, and what was the idea behind them, and what can you tell us about the artists involved? A few words about your directorial approach to your stories as such? As a director I like to experiment as much as I can with angles and moods, I like to make sure what I shoot will have an impact on the audience to make them feel like they are there. I'm not into gore, I mean I love gore films but it's not me, I'm more into suspense and that's what I wanted to do as much of in this film, was have suspense. I work very closely with my actors and I was lucky enough to have great actors on set. You also play one of the leads in Forgotten Tales - so what did you draw upon to bring her to life, and have you written her with yourself in mind/was she based on any personal experiences (however exaggerated)? Audition was inspired by an audition I went to years ago and it was an odd audition and I was a little uncomfortable. The first time director was creepy, so that's where that inspired from. He had this vibe to him that was weird. I played the role because actresses who read the script said no based on it hit to close to home, many actresses have experienced weird stuff like that so I decided to throw myself in there. Over the years I have met some incredible actors and actresses and have a list of those I want to work with and I chose these ones because I knew they would be fun to be around and would work their butts off to bring my characters to life. I had a great time, I work with my same crew every film shoot, they work hard and love to make movies, so with them I knew it was going to be a blast. My husband John Gillette, who is also the other half of Last Doorway Productions, has been my camera and cinematographer for every film so far and it's always fun working with him, he knows what I like. With the actors I always want to make sure they have a good time and are comfortable on set, and for this film there were no problems. Anything you can tell us about audience and critical reception of your movie yet - and any idea yet when and where it will be released to the general public? So far I have had good feedback from fans and festival directors which is nice. I cannot announce anything yet but we did get picked up for world wide distribution, announcements will be soon. Right now I am writing, writing, writing... 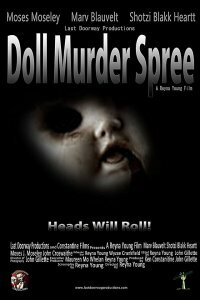 I am currently in post for my last film Doll Murder Spree, which is a slasher. Cannot wait to release the trailer for that. I will be filming soon this year, a horror film and a drama, which I cannot talk about right now. When I was younger I did modeling for kids clothes and commercials, extras in films. Growing up I was all about being an actress, it wasn't until college I was acting in some indie films and a friend of mine at the time was filming a movie and wanted me to co-direct, he said I had a good eye. So I helped on four of his films but he never finished them. So I bought a camera and some filmmaking books and started doing it myself. I did a 30 minute short and then from their studied as much as I could. I have done 19 short films as practice and a black and white cheesy monster movie which became very popular in the bay area called Monster of Golden Gate. I never wanted to study film in college because I sat in a class once for it and wasn't into it. No Reyna Young interview would be complete without you talking about your alter ego Miss Misery I suppose - so do talk about her for a bit, and how did she come into being? Miss Misery started with my first SF TV show Last Doorway, which I went around and interviewed filmmakers and celebrities at conventions. I did this to get my foot in the door and meet as many people as I could and connect with them. I grew up watching Elvira and later learned about Vampira and thought it would be fun to be a horror host and meet people. Plus I've always been a goth so I already had a wardrobe, LOL. 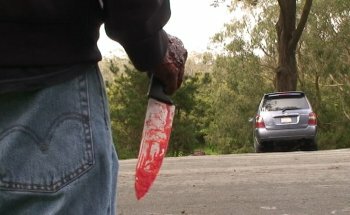 After 75 episodes of that show I started Movie Massacre and hosting B-rated films and indie horror films by locals. It's been great and fun and I can never give up Miss Misery, everyone loves her. When it comes to filmmaking, you've pretty much done it all from producing, writing and directing to acting, editing and hosting - so what do you enjoy the most, which could you do without? WOW! I love it all but if I had to choose, I love directing and if I could go without it would be producing. But I'm the kind of person who has to do it all and have my hands in all of it during the pre-production, production and post productions, so I know everything comes out the way my vision in my head has it. What can you tell us about your filmwork prior to Forgotten Tales, in whatever position? I have done 19 short films, a women in horror documentary and one feature before Forgotten Tales. I call it the getting my feet wet years. The learning of how I want to direct and my vision and the kind of stories I want to tell. It was my homework basically, but I always learn something new so it's fun and I would'nt trade it for the world. Do talk about your company Last Doorway Productions, and the philosophy behind it! The company is owned by John Gillette, Ken Constantine and myself. We strive to bring you great indie films and not just horror but soon comedy and drama, etc. We used to run events but I got tired of them and wanted to focus more on my films. 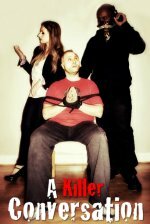 We ran a film festival in San Francisco for six years, a horror convention in Sacramento and zombie proms. It was fun but tiring. How would you describe yourself as a writer, as a director, and as an actress? I would describe myself as hard working, a go-getter and someone who wants to do it all before she dies. Filmmakers, writers, actresses, whoever else who inspire you? I'm inspired by Alfred Hitchcock, John Carpenter, Jamie Lee Curtis, there's a ton of people who inspire me. I'm easily inspired by people because inspiration just doesn't come from one person or one film, it comes from an array of things. I'm also on instagram as Director Reyna Young. Thank you to all my fans for standing by me and supporting everything I do. Thank you to my partners in crime John Gillette and Ken Constantine and my bestie Maureen Mo Whelan, she helps out a lot on my projects and is so fun to have around.